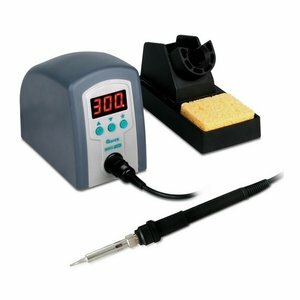 Soldering stations are the most commonly used equipment for soldering electronic components with traditional lead or lead-free solders. 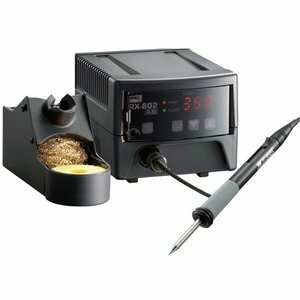 We offer great selection of temperature controlled soldering stations, from the variety of manufacturers. 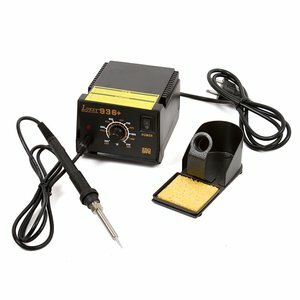 Mini soldering station with ceramic heater. 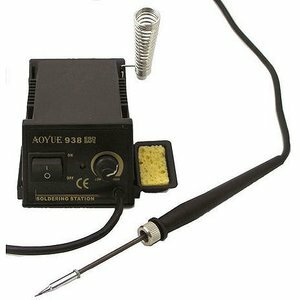 Power: 60 W. Soldering iron + stand + solder holder + tip cleaner. High performance model that offers accurate temperature control and easy operation with newly designed ergonomic grip cover. Made in Japan. 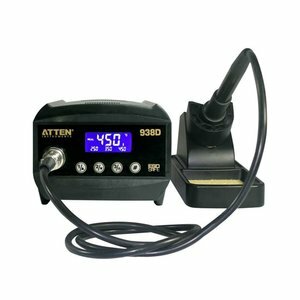 Antistatic performed soldering station with analog control meant for electronic and radio equipment repairing. 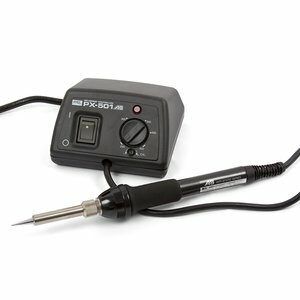 Compact and lightweight ESD-safe lead-free soldering station with 2 soldering irons which can be used at the same time. 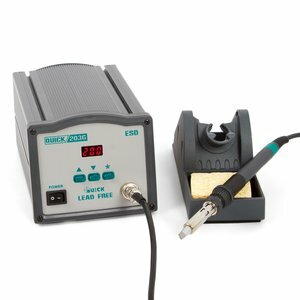 An ESD-safe microprocessor controlled soldering station equipped with a fast acting ceramic heater suitable for advance lead-free soldering. Temperature Range 200 - 480 ºC. 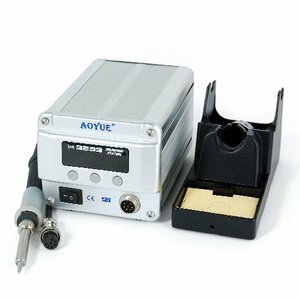 Modular design of Aoyue 937 soldering station with reliable temperature stability for all types of soldering operations. 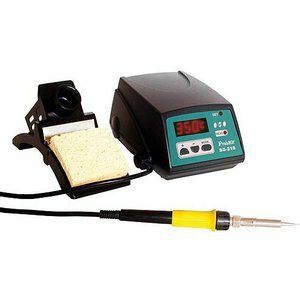 Palm-size SMD soldering/desodering station with precision temperature control (100~450°C). Power consumption: 10 W, ceramic heating element. 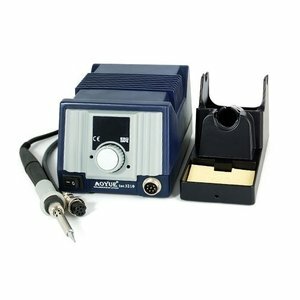 Ultra compact soldering station with temperature control. 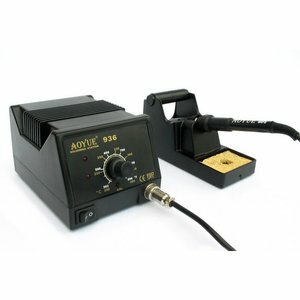 Power consumption 50/65/90 W. Temperature range 200~500 °C. 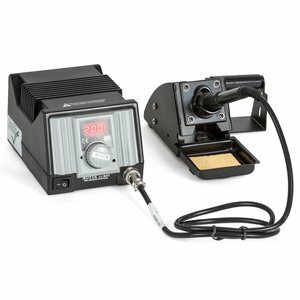 A compact and lightweight soldering station with excellent heat recovery. 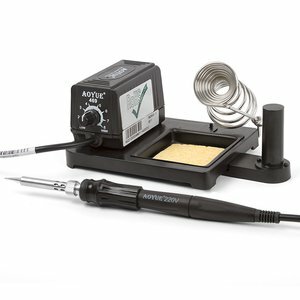 Perfect for working with high melting point lead-free solders and micro soldering. 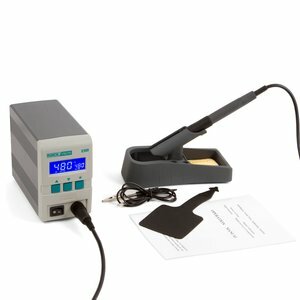 An ESD-safe microprocessor controlled soldering station equipped with a fast acting induction heater suitable for advance lead-free soldering. Temperature range 200 – 450 ºC. 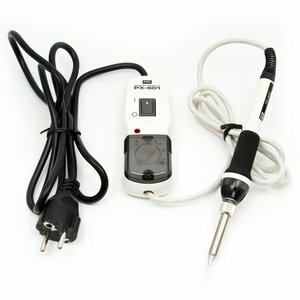 Antistatic design, soldering iron with ceramic heater. 60 W power. Iron holder and cleaning sponge included in package. 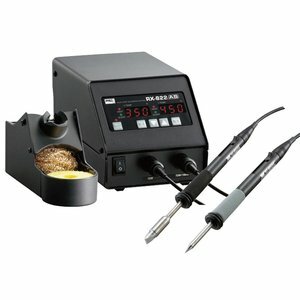 Temperature-controlled digital soldering station is used for soldering electronics with lead-free and usual lead solders. 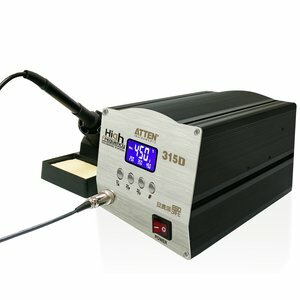 An ESD-safe microprocessor controlled soldering station equipped with a fast acting induction heater suitable for advance lead-free soldering. Temperature range 200 - 450 ºC. 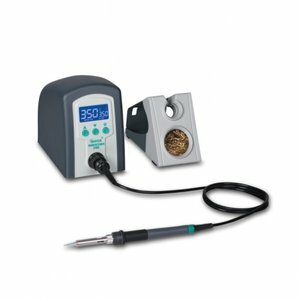 Lead-free soldering station characterized by a 90 W power, temperature adjusment from 80°C to 480°C and temperature stability of ±2°C. 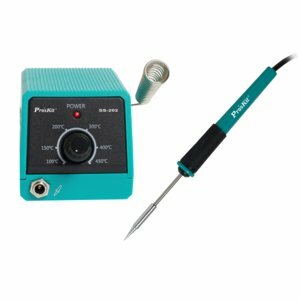 Lead-free soldering station characterized by a 80 W power, temperature adjusment from 100°C to 450°C and temperature stability of ±2°C. 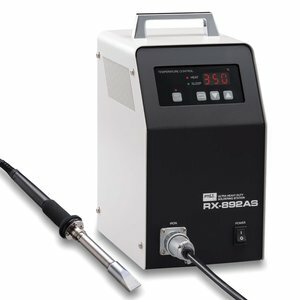 Powerful (70 W) lead-free soldering station, with temperature range from 100 to 450 °C and temperature stability of ±2 °C. 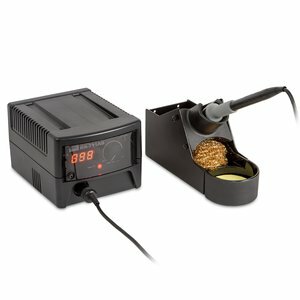 High-power soldering station with excellent heat recovery. Power consumption: 530 W. Temperature range: 50-500 °C. 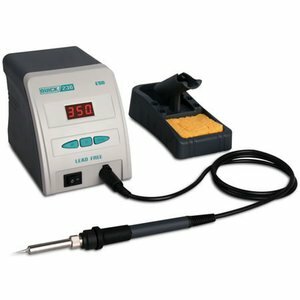 Digital lead-free soldering station with microprocessor control and ESD protection. Ceramic heating element. 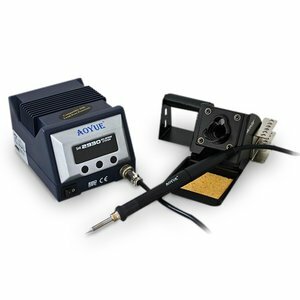 Powerful 150 W ESD safe soldering station with LCD display, temperature adjustment from 50 °C to 600 °C and temperature stability of ±2 °C.